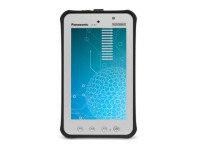 The lightest fully-rugged mobile computer Panasonic has ever built—an Android™ tablet designed for professionals. Introducing the Panasonic Toughpad™ JT-B1— the fearless business tablet that goes where no tablet has ever gone before. The Toughpad JT-B1 is ideal for one-handed use, fits in a coator cargo pocket, and is the lightest of any Panasonic mobile computer. 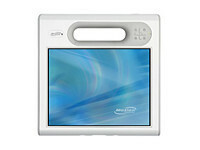 The Toughpad JT-B1 combines data and device security, seamless connectivity and enterprise-minded technology. 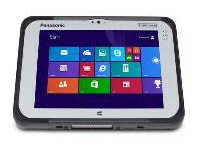 The Panasonic Toughpad™ FZ-A1 and JT-B1 are the fully-rugged, Android™-powered tablets — and the FZ-G1 is a fully-rugged Windows 8 tablet designed for enterprise and government. 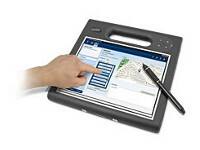 Extremely durable and secure, Toughpad is ideal for mobile workers, combining highly secured data and device management with the seamless connectivity and enterprise-grade technology businesses and government agencies require. The Toughpad family provides a powerful and extremely secure mobile computing solution for a wide spectrum of industries. Able to access vital and classified information in the field — whether on an offshore oil rig or the 12th floor of a large urban hospital — Toughpad gives mobile workers the integrated features and options required to find answers and make decisions. The physical and data security options government and commercial enterprises need. The Toughpad FZ-A1, JT-B1* and FZ-G1* are MIL-STD-810G and IP65 certified, which means they can easily withstand extreme drops, water, dust and freezing temperatures. This elevated level of durability results in tablets that deliver unmatched reliability in practically any environment — assuring maximum mobile worker productivity. From public safety, utilities and construction, to healthcare, foodservice, field sales and a wide range of government agencies, Toughpad is the go-anywhere, do-everything tablet of choice. 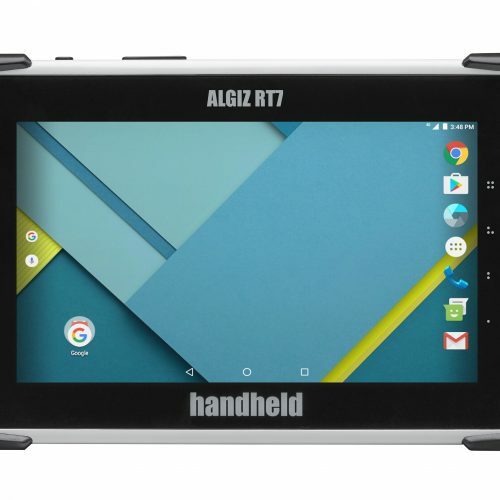 The Toughpad FZ-G1 and JT-B1 are both FIPS 140-2 (Level 1) compliant and the FZ-A1 is the only tablet that is FIPS 140-2 (Level 2) compliant with a dedicated security core for data encryption and includes preinstalled, and persistent, drivers for approved smart card readers. Toughpad tablets are designed to operate for years beyond a consumer tablet and feature a full daylight-readable display developed specifically for enterprise and government use. Their embedded security specifications and compatible device-management features are only available from Panasonic.